Losing 22 farms a day – Cultivate! Food producers find themselves under enormous pressure – also in a ‘modern’ country like the Netherlands. Arguing that peasant farmers are needed to feed the world, Elske Hageraats uncovers three myths related to the need for industrial food production. While we are talking about ‘feeding the world’, more and more rural workers are leaving the land – often by force (be it actual violence or strong economic pressure). The Netherlands –the example of a ‘developed country’, full of ‘modern agriculture’ – certainly does not escape this trend: in 2016, this country alone has lost 22 farms every single day (CBS, 2017). They don’t go bankrupt because of a lack of modern technologies – we are one of the leading countries in terms of agricultural technology. Neither do they go bankrupt because they don’t have access to proper schooling, infrastructure, or good soils – the Netherlands has it all. There are other factors playing a role: the prices farmers obtain for their produce are decreasing (sometimes even below the cost of production), while production costs continue to rise. Meanwhile, competition from the world market never was as fierce as today. Because of decreasing prices for their produce, farmers are forced to get loans from banks and grow bigger and bigger. Some examples from the Netherlands: an average pig farmer had around 7 pigs in 1950, while currently you can find around 1.6 thousand pigs on one ‘farm’. And the average amount of cattle per farm went up from 13 to almost 160 animals (CBS 2017b). Increasingly, consumers, scientists and farmers are concerned about the impact of this growth on the environment, animal welfare and food safety. ‘Entrepreneurial agriculture’ which embraces high-tech, industrial agriculture, is not only financed by loans from the bank; it also receives large amounts of subsidies. Eighty percent of EU subsidies go to only 20% of the wealthiest farmers, while peasant agriculture hardly receives any (van der Ploeg, 2017). The result is that from 1950 up to now, we have lost six out of seven farms in the Netherlands (CBS 2017). In 2016, the average number of farms that was closed per day was at 22. How can we expect farmers to invest in the environment, animal welfare, healthy soils, biodiversity or sustainability, if we don’t give them a fair price for their products? How can the young generation continue the farm work – knowledge and skills build up through centuries – when they cannot make a living out of it anymore? Persistent myths need to be broken in order to change the food and farming system. According to a 2013 UNCTAD report, the world currently already produces sufficient calories per head to feed a global population of 12-14 billion (UNCTAD, 2013). In other words, hunger is not a result of a ‘lack of food’ in the world. The problem instead is that food isn’t produced there where it’s needed (Tittonell, 2016). One of the most important advantages of peasant agriculture, is that it can produce food crops anywhere – also in remote areas, where the food is needed the most. Nevertheless, there is a major trend from promoting ‘food crops’ (to feed people), to promoting cash crops (for the export to the West, e.g. cotton, coffee, soy), often financed by and lobbied for by those who shout “we” need to feed the world. This results in more pressure on the livelihoods of peasants, including the rural poor. FAO’s SOFA report (2014a) estimated, based on an analysis of just 30 countries, that there are approximately 500 million family farmers in the world who produce 80% of the world’s food. Studies point out that this production takes place on only 20% to 30% of the agricultural resources like land – and generally in less productive, marginal environments (ETC 2013). One of the most important advantages of peasant agriculture, is that it can indeed produce food crops everywhere – also in remote areas, where the food is needed most. If we talk about sustainable agriculture that can keep on feeding the world, the small scale peasant farmer might just be the example for all of us. Moreover, we have to realise that agriculture is not only about producing food. As the word ‘culture’ in agriculture indicates, it means a rich way of life that is connected to working the land. Educating young people who’d like to work with peasants or become a peasant themselves. The important question related to this statement is: who’s “we”? Why can’t the world feed itself? And what do hungry people themselves see as a solution? While companies, governments, universities and media in the West claim that ‘we’ need to produce more food (often with technological innovations they themselves are developing), there are totally different demands from those who actually suffer from hunger: rural people. In the year 2007, about 500 small scale food producers from more than 80 countries came together: peasant farmers, fisherman, shepherds, pastoralists came together to let their voices be heard and to write the Nyeleni Declaration. In this declaration they don’t ask the West for more food. Neither did they ask for expensive technological innovations. In fact, technological innovations and food aid are even mentioned as cause of poverty and hunger. The internationalisation and globalisation of paternalistic and patriarchal values, that marginalise women, and diverse agricultural, indigenous, pastoral and fisher communities around the world. Despite the many challenges, we see more and more young people who want to continue / start in agriculture (ILEIA, 2011). We see an enormous incline in students at the Warmonderhof (school for practical bio-dynamic farming; see also their MAP). Above, you see a picture of young Dutch farmers who are members of Toekomstboeren (“Future Farmers”), member of the world wide peasant movement La Via Campesina. Toekomstboeren is a growing organisation that wants to inspire people: it is possible to start a farm – even (or especially?) when it’s an organic, small scale peasant farm. access to land. The price of one hectare of agricultural land in the Netherlands is around 80.000 euro – sometimes even 120.000 euro. access to knowledge. This generation of young (future) farmers is often not raised at a farm. Many years of industrialisation of agriculture is threatening the survival of skills and knowledge which were built up for centuries and passed on from generation to generation. A loss of farmers means a loss of this knowledge. access to the market. With supermarkets providing such cheap food, how can we convince our consumers to buy from our farms, so that a fair amount of the money goes to the producer? Despite these challenges, people still find creative ways to make it work. Some examples are the various forms of Community Supported Agriculture (CSA). 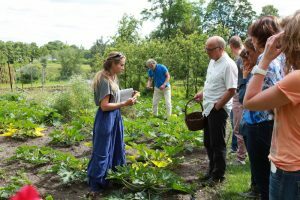 In the Netherlands you can find self-harvest gardens (members harvest their own food, e.g. denieuweronde.nl, membership schemes (members pick up a box with food from the farm or a pick-up point at a nearby city every week (e.g. the farm where I work: ommuurdetuin.nl), or the new initiative called Herenboeren (a group of families own a farm together, and hire a farmer to work for them). A shared risk. When harvests are good, members get a bit more, when harvest are less good, they get a bit less, while the income of the farmer is always secured. Money at the start of the season, not at the end: members pay the money up front, so that the farmer already has the money to invest in seeds, compost/manure, seedlings etc. A fair price to the peasant farmer. All the money goes directly to the farmer, so no money is taken by middle men. The farmer – not the supermarket – sets the price (a fair price), decides what to produce (e.g. many different varieties), and sets the criteria (cucumbers don’t have to be perfectly straight, for example), all in collaboration with the members. 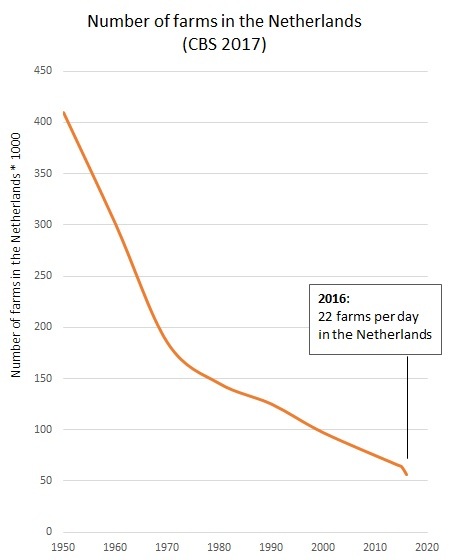 Since 1950, we have lost 6 out of 7 farms in the Netherlands alone and it is clear that this is a big problem. One of the main culprits in the change towards more sustainable and just food systems are the current low prices and the position of smalll scale farmers. Farmers cannot invest in healthy food production, the environment, biodiversity, animal welfare or a healthy soil as long as they do not receive a fair price for their products. And we can all make a change. Eating is a political choice: you stimulate the system you give your money to. It’s that simple. Join the movement, buy your food from local farmers or join a CSA, because we cannot feed the world without peasant farmers. 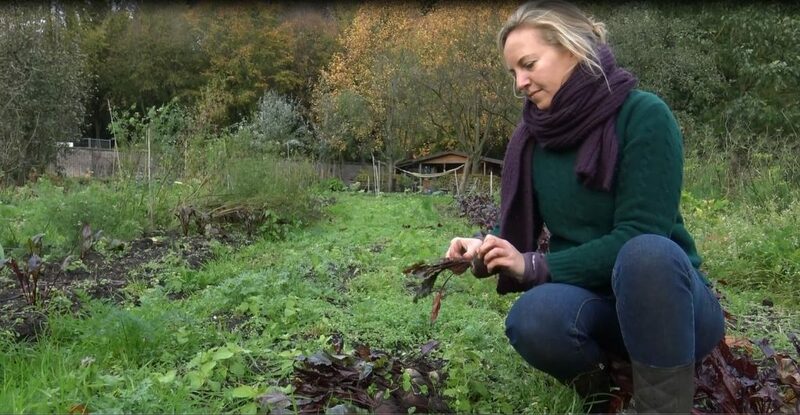 Elske Hageraats (elske.hageraats@gmail.com) is a peasant farmer at De Ommuurde Tuin in Renkum, the Netherlands, a 1 hectare CSA farm that produces more than 400 varieties of vegetables, herbs, tubers and fruit. She also has a Msc. in Biology and a Msc. in Rural Sociology at Wageningen University, and is an active member of Toekomstboeren (La Via Campesina Netherlands) and Boerengroep (Peasant Foundation Wageningen).